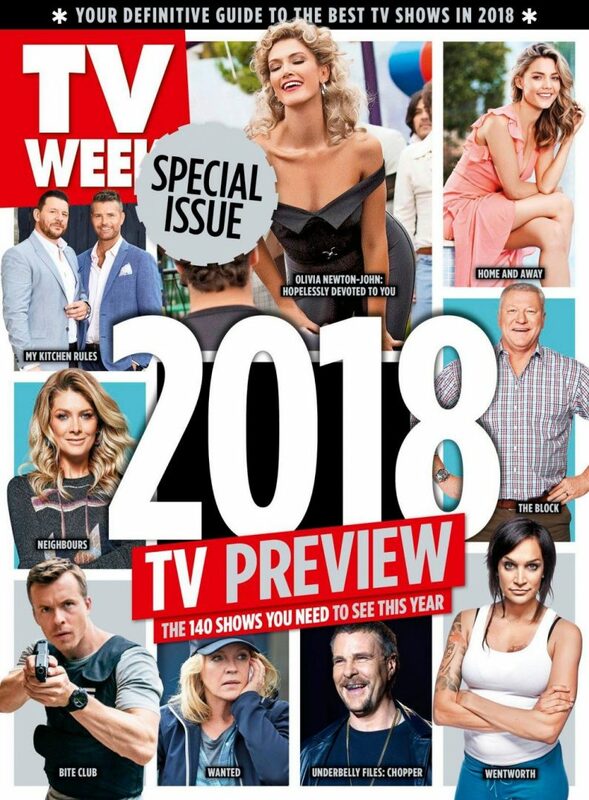 Continuing our series with the people that control what goes to air on Australian TVs, Mediaweek’s James Manning speaks with Foxtel’s executive director of TV, Brian Walsh. 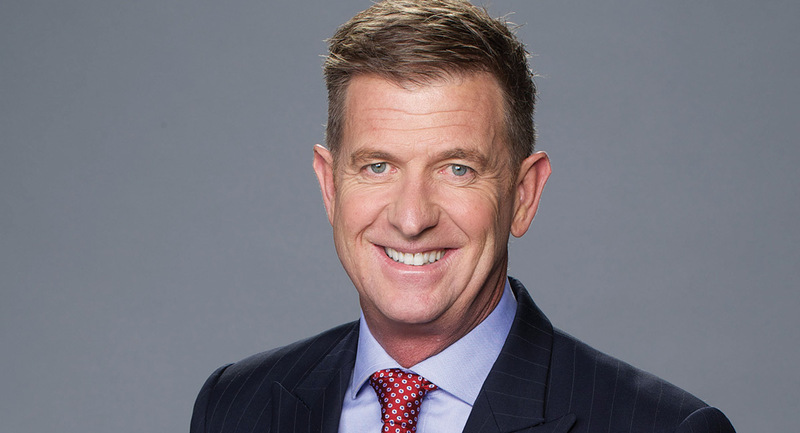 Foxtel’s executive director of TV Brian Walsh is of course much more than a programmer, but the buck stops with him when it comes to what viewers see across the Foxtel platform. Our discussion with him was so expansive that we are running it across two days. Competition is a good thing for the industry. It is a good thing for consumers. I think the current environment in Australian media is incredibly competitive right now, particularly in the case of our business, which is video. That competition brings out the best entrepreneurial ideas and strong marketing that connects and it forces us to think differently. We are living in an age of enormous change and the key is to always look at the way we do things with a view to how consumer behaviour is changing. Punching above our weight in terms of marketing and publicity is vital. People are getting information about television from a number of different sources and we have to hit all those touchpoints if we want our programming to get attention. What we did in Victoria for Picnic At Hanging Rock was a great old-fashioned launch. We had a fabulous location where the series was shot, we got to climb Hanging Rock, we had 13 different cast members with us and we got to see the first episode. We are going to do more of that. We will hit the road and be very visible. We always have to be conscious of who our audience is and what is the heartland of a Foxtel home. We are unapologetic about catering to middle Australia and family entertainment. Senior Australia often gets forgotten by television broadcasters and we have very loyal customers who have had 20-year tenure with Foxtel. They are important customers to cater for in terms of commissioning and acquisitions strategy. Equally important though are younger members of the household. There is an expression I learnt in another role at another company, but we almost need to be taking a “cradle to the grave” approach where we have to have something that caters for everyone. When you look at the canvas we provide, we like to think we are catering for the younger members of the household with our kids’ offering, that we are catering for millennials, that we are absolutely catering for people who are time-poor – which our on-demand proposition serves – and we are catering for senior Australia. The [FTA] networks have abandoned older people. It is understandable because much of the advertising dollars sit with a younger demographic, but we are not driven solely by an advertising model. I would argue that Picnic At Hanging Rock is very contemporary, very edgy and it’s not just a remake of the Peter Weir film. It is a completely new approach to the story, looking at it from a director’s point of view through a female lens. The female characters, particularly the schoolgirls, are front and centre of the story, whereas they weren’t so much in the original film. This plays significantly into the #MeToo movement and the promotion of stronger female characters on film and television. That is no coincidence. It has been something we have been looking at doing for some time. If you look at Foxtel’s overall drama strategy, you would say that we absolutely dial up stories that feature strong female characters. 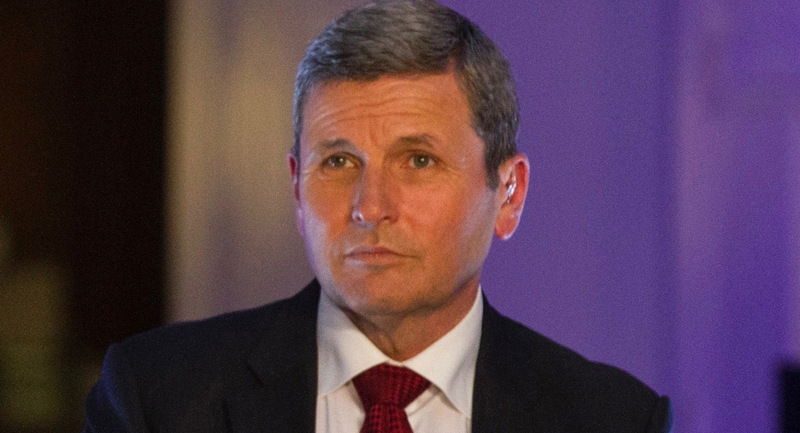 Experienced political reporter Chris Uhlmann made a big career move in 2017 when he moved from the ABC to Nine as its political editor, replacing Laurie Oakes. However, moving out of his old workplace and into the new was a breeze. “I am based at the Parliament House in Canberra. So all I had to do really was move 70 metres down the hallway from the ABC office to Channel 9’s office,” Uhlmann told Mediaweek. The biggest aspect of this change was the commercial expectation that came with joining a for-profit business like Nine. “There are different things that drive the way ABC and Nine collect news. One of the advantages of the ABC – I am in favour of public broadcasting – is that no one has to worry about where the money is coming from or how they are going to fund their news service. But there are pressures that come with everybody having to change from the appointment viewing that we had to the new world where everyone has access to everything on their devices. For the ABC, it’s a matter of reallocation of resources. “In a commercial network like Nine you have a commercial imperative. How do you make advertisers pay enough for these news services to support the journalism? Uhlmann started his career as a journalist in print media at The Canberra Times. He joined the ABC in 1998 and had been its political editor since 2015. He moved to Nine in 2017. This wasn’t the first time he’d had the opportunity to join the network. Uhlmann had been offered a role in the past but said he’d declined it because he was “happy” with what he was doing at the ABC. However, when the network approached him after Oakes’s resignation, it was too much of a good opportunity to pass. 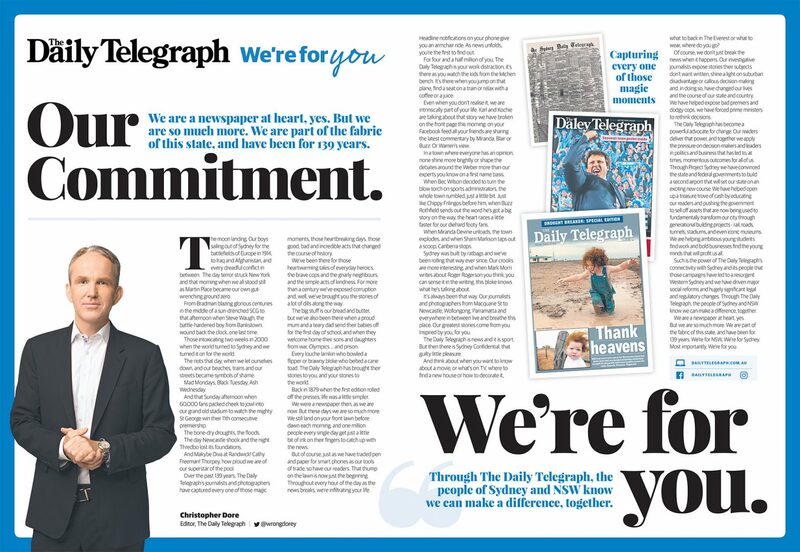 As we continue our look at News Corp’s We’re For You campaign, chief marketing officer Tony Phillips spoke with Mediaweek’s James Manning about the campaign plan. “We’re For You is a simple reinterpretation of the existing line we use where we focus purely and solely on our customer. “We had to think how we could write that as a proposition and build creative around. “One insight that kept on coming through in everything I was reading was: ‘I read, therefore I know, therefore I belong.’ The word ‘belonging’ was coming up all the time. Then I wanted to build an ad that had a very strong emotional hook in it and had some key creative cues. “I also wanted a music track that would deliver a very strong hook, a line and a suite of visuals that we could then start using to build the campaign. “As a creative marketer I had an idea to use that iconic piece of music ‘A Day In The Life’ because I love pieces of music where the song tells you what it is you do. “The song finishes with a very clear and well-known stanza, ‘I read the news today, oh boy.’ That works pretty well and the song tells the story of a day in the life of our customers. Subsequently we built a stealomatic around that, tested it, and the customers responded very strongly to it. “It took some time to produce it all. On Monday we had editors writing about their commitment to the customer and then after launching it on our own assets, the following Sunday we go out with a TVC on broadcast TV, catch-up TV, digital, cinema, plus outdoor and radio. “This is the most significant investment that’s been made in the [News Corp Australia] brands in many years. Back in 1879 when the first edition of The Daily Telegraph rolled off the presses, life was a little simpler. We were a newspaper then, as we are now. But these days we are so much more. We still land on your front lawn before dawn each morning, and one million people every single day get just a little bit of ink on their fingers to catch up with the news. But of course, just as we have traded pen and paper for smartphones as our tools of trade, so have our readers. That thump on the lawn is now just the beginning. Throughout every hour of the day as the news breaks, we’re infiltrating your life. Headline notifications on your phone give you an armchair ride. As news unfolds, you’re the first to find out. For four and a half million of you, The Daily Telegraph is your work distraction. It’s there as you watch the kids from the kitchen bench. It’s there when you jump on that plane, find a seat on a train or relax with a coffee or a juice. 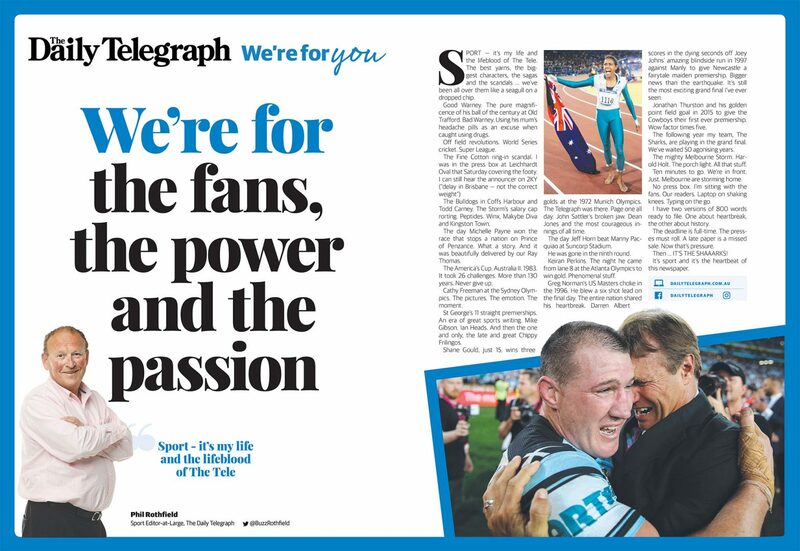 The Daily Telegraph’s message to readers on pages 2/3 of the newspaper from sports columnist Phil Rothfield under the heading “We’re for the fans, the power and the passion”. “I am absolutely delighted to be back in the media industry, an industry that I love and enjoy and I thank the APN Outdoor board for the opportunity they have given me to run the company. “The FY17 result was a credible outcome in a challenging environment. Underlying EBITDA of $90.3m was within our guidance range provided in August, albeit at the lower end of the range. 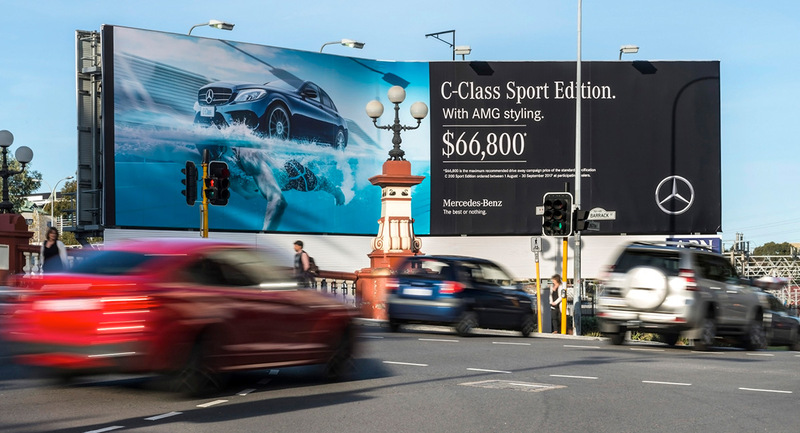 “At only circa 6% of the overall advertising industry, the out-of-home industry has untapped potential. In addition, our contract renewal exposure for 2018 and 2019 has reduced to single digits given the recent renewals won, including Sydney Trains just last week. The Company is mitigating the $7 million EBITDA Yarra Trams contract impact. Year-to-date trading at February 20 2018 is in line with the company’s expectations. • Revenue and EBITDA is skewed to the second half of the year. APN Outdoor will be investing ~$2 million during FY18 in innovation and new systems to support an audience and customer-led go-to-market sales strategy. Digital billboard conversion rollout continues with 20 to 25 new digital (Elite) screens to be commissioned in FY18. Capital expenditure for FY18 is expected to be in the range of $25 million to $30 million. For the past few weeks anticipation has been building about how strong the launch of Black Panther would be. The film had a huge opening globally, in the US and in Australia too. It drove the weekend box office here to $18.73m which is the best since the last two weekends of January, which were also both just under $19m. This is the first weekend of 2018 we have had a $10m in a weekend release after the highs of January saw the love shared across a range of releases. A staggering amount of money changed hands over the weekend for this new release. 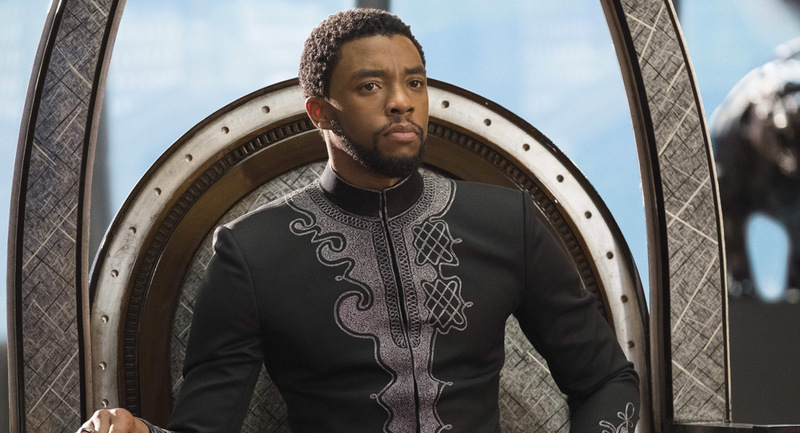 Black Panther broke a handful of records in the US with a $200m+ plus opening and when you add all the international markets you are looking at $400m+. In Australia it has set the bar as the biggest release so far in 2018 and the first movie to take over $10m in a single weekend. 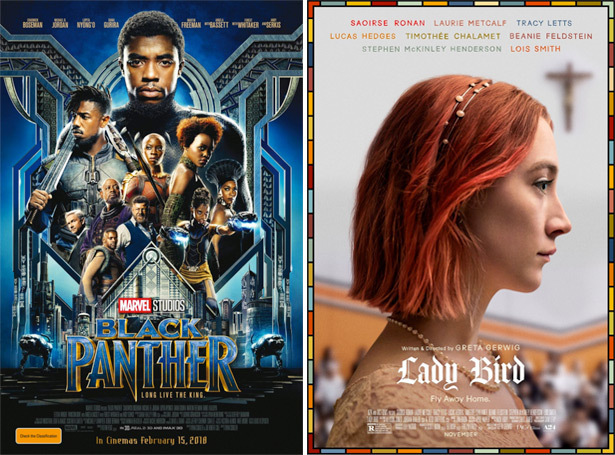 The movie has also had the biggest screen average this year for any movie in general release – $16,977 from its 620 screens – which makes it the biggest opening number of screens since Star Wars: The Last Jedi at the end of 2017. A strong second weekend despite a drop of 50% from the opening. Number of screens showing the movie dropped 126 from 551 to 425 with a screen average of $5,509. The movie has made it to $10m already. The second of two new releases in the top 10 was also in the top five as it opened on 261 screens with a screen average of $3,653. The coming-of-age comedy/drama has been nominated for five Academy Awards. Still holding in the top five after an impressive eight weeks, the movie was just short of $1m with its total just short of $30m. The number of screens actually lifted over the weekend from 310 to 336. Just over half a million in the fourth weekend as the total sits at $7.13m. After Seven’s record-breaking start to 2018, the margin between the primary channels was under two points last night with Seven on 21.6% and Nine on 20.2%. Seven was well in charge with combined channel share of 30.1% and Nine back on 24.7%. ABC was just over double figures and TEN just under. After the channel’s world record ratings last week, will the schedule stand up again and challenge the record books with a best-ever week two of survey? Two nights in and Seven remains #1, albeit with a narrower gap separating the top two. Home and Away began the second week of survey with 704,000 after a week seven average of 670,000. The contestants and judges on My Kitchen Rules found themselves in Coffs Harbour with sisters Georgie and Alicia running the kitchen. After 1.09m a week ago, last night did 1.12m. The girls shot to the top of the leader board with 113 and managed 54 out of a possible 60 from the judges. Night 10 of the Winter Olympics followed with three gold medals on offer. After 922,000 on Monday last week, 755,000 tuned in last night. Great work from Laura Turner on A Current Affair tracking down the family at the centre of the brawl aboard the cruise ship Carnival Legend though they were reluctant to talk! After a week 7 average of 747,000, ACA started week 8 on 989,000, which is the biggest audience this year. It was grooms’ homestay on Married At First Sight with the brides spending the week in the homes of their husbands. After a bumper 1.3m+ on Sunday, and 1.15m a week ago, the episode last night did 1.29m. Skiing was on the itinerary as the holiday reporters hit New Zealand on Travel Guides. The show did 627,000 after 610,000 when it was last on a fortnight ago. Guests on The Project included Celebrity evictee Kerry Armstrong and visiting comedian Ross Noble. After a week 7 weeknight 7pm average of 440,000, the new week started on 561,00. The Oldfields arrived in the jungle at the start of the episode with the inquisitive camper swarming around the new arrivals. Monday last week did 621,000 while last night was on 534,000. The new episode of Law & Order: SVU did 281,000 followed by a repeat on 183,000. Australian Story featured dancers Steven McRae and Alexander Campbell and told of their journey from western Sydney to London’s Covent Garden. The episode did 583,000 after just under 500,000 last week. ABC reporter Matt Brown was in Raqqa reporting for Four Corners with 500,000 watching. Media Watch followed with 523,000. After two episodes last week, Q&A Monday was on 397,000. River Cottage is just over halfway through season 4 at 7.30pm with 160,000 watching last night. Michael Mosley questioned eating carbs in the evening on Trust Me, I’m A Doctor with 229,000. 24 Hours In Emergency then did 194,000. The company reported revenue of $112.7 million and a net loss after tax of $3.4 million (including significant items). Pro forma results (excluding significant items) were revenue of $183.3 million up 12.5%, EBITDA of $56.8 million up 8.7% and net profit after tax of $24.7 million down 8.1%. “Having stepped in as executive chairman [after the sudden departure of Antony Catalano], I can attest to the bench strength of the entire Domain team and their passion, skill and commitment. The business is in great shape with strong underlying momentum,” said Falloon. • The launch of Domain Loan Finder and Domain Insure, with a 91% increase in transactions revenue from existing and new businesses. “Print revenue declined 11.6% and Print EBITDA declined 25.4%. This performance reflects ongoing structural decline, with some offset from cost initiatives,” Falloon said. Domain shares jumped 13¢ or 4.5% to $3.00 after a conference call with analysts and executives presented an upbeat picture about Domain’s opportunity to expand in Queensland, where it lags competitors, reports The AFR’s Aaron Patrick. Domain chairman Nick Falloon, who was forced to step in after chief executive Antony Catalano resigned unexpectedly last month, said the result demonstrated the success of the company’s strategy. Catalano hasn’t carried through on a threat to hire barrister Stuart Littlemore and sue Fairfax over the reports about his resignation, which he originally claimed was to spend more time with his family. The new chairman of battered listed real estate agency McGrath arrived at its Edgecliff, Sydney HQ yesterday evening to formalise the handover from the Cass O’Connor era, reports The Australian’s Margin Call column. As revealed by Margin Call online yesterday morning, Kerry Stokes’s former chief financial officer Peter Lewis is the company’s new chairman. McGrath’s stock rose almost 5% on the news. Lewis – who is experienced at working at proprietor-led companies – is also a director on Justin Milne’s ABC board. Advising “Mr Real Estate” [John McGrath] ahead of his tactical shift were Seven commercial director Bruce McWilliam (who knows Lewis well), Stokes’s trusted spinner Tim Allerton and celebrity accountant Anthony Bell. The lawyer for Geoffrey Rush has accused The Daily Telegraph of going on a “fishing expedition” to dredge up a defence to defamatory articles it published about the actor last year, reports the ABC’s David Spicer and Ursula Malone. Rush is suing the owner of The Daily Telegraph, Nationwide News Pty Ltd, over stories in late 2017 alleging he engaged in inappropriate behaviour during a production of King Lear for the Sydney Theatre Company (STC) in 2015. The 66-year-old has claimed the allegedly false claim distressed his family and damaged his career. A hearing has been held in the Federal Court in Sydney in relation to a subpoena by Nationwide News Pty Ltd to the Sydney Theatre Company to obtain access to the file detailing the complaint. The lawyer acting for The Daily Telegraph said it would be alleging that Rush repeatedly touched a female actor in a way that made her feel uncomfortable. South Australia is set to embark on a landmark few weeks. It will be a period where we all get the opportunity to decide the type of state we want to become – and who is best placed to lead us, as we count down to a March 17 state election. The Advertiser and Messenger News will be at the forefront of this coverage. At this point we have chosen not to advocate for one party over another. We firmly believe the next few weeks are a chance for our state to engage in a genuine contest of ideas for one of the three main players – the Liberals, Labor and SA Best – to earn the right to govern. There will be personality plays. There will be dirty tricks. Some of the players will pull out all stops in a quest for victory. But our focus will be to look beyond the attacks – and the inevitable spin – and to drill down on policy and what these mean for our grassroots communities. 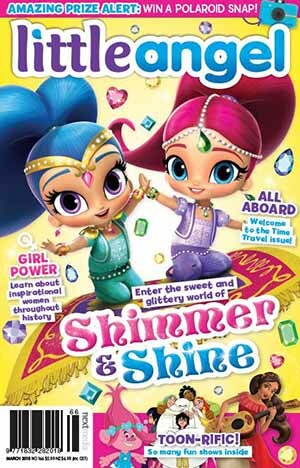 The publisher of Limelight magazine, Arts Illuminated, has announced that an interested party has come forward to work with the magazine’s staff to ensure the ongoing publication of the magazine and that the March issue, which features Australian soprano Nicole Car on the cover, has been sent to the printer. 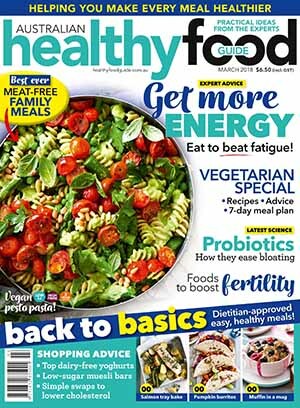 The publishers also report it is expected that the longer-term future of the magazine will be settled within 10 days, at which time a further announcement will be made. Arts Illuminated, which has published Limelight magazine for the past four years, has not gone into liquidation. 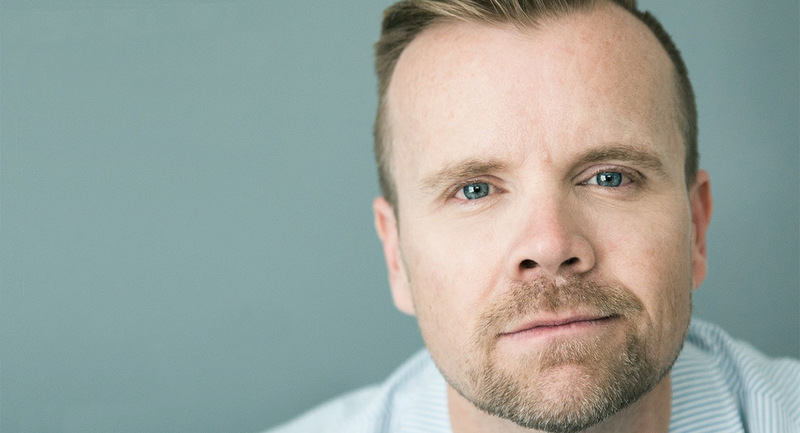 Nova Entertainment has hired announcer Troy Ellis, who will join Nova and smoothfm from March, filling a floating position across both networks. 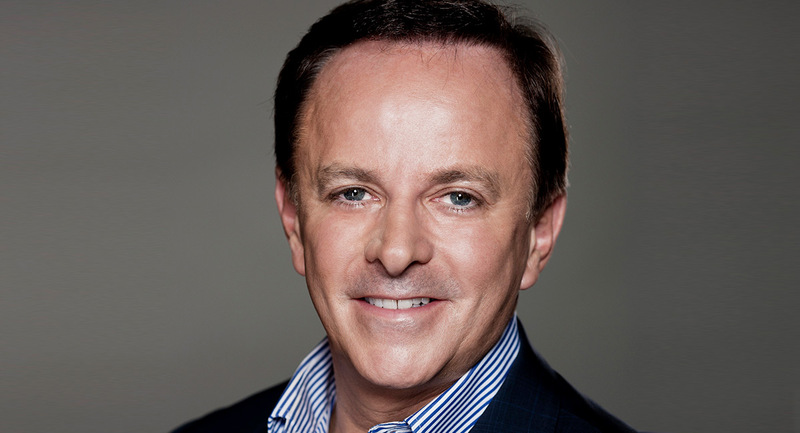 With over 24 years’ media experience, including 10 years with Channel Seven and in excess of 20 years in radio, most recently Ellis hosted Gold FM’s breakfast show. He spent over 12 years as part of one of Melbourne’s longest-running and successful breakfast shows on Fox FM – The Matt and Jo Show – before joining ARN in December 2014. 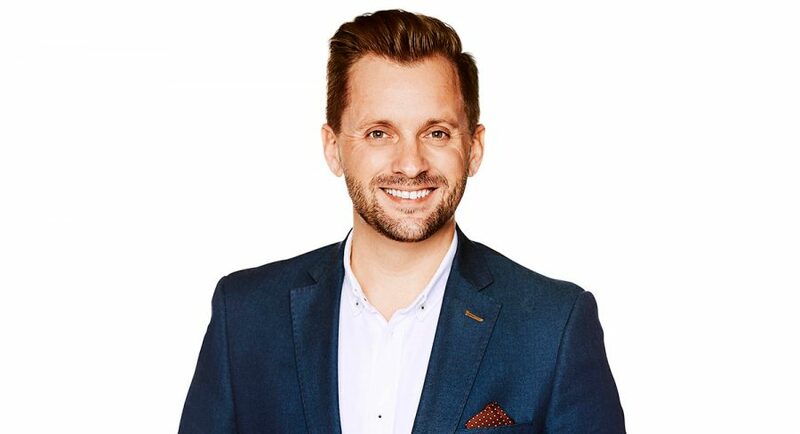 Peter Clay, head of programming Nova 96.9 and smoothfm network, said, “Opportunities like these do not present themselves every day and I am thrilled to jump at the chance to add Troy to our exceptional lineup of talented presenters. Ellis will join Nova and smoothfm’s on-air lineup from Monday March 5. Southern Cross Austereo (SCA) has this week launched its own dedicated talent development unit to be known as Hubble. Hubble is designed to discover the next generation of audio personalities, invite new talent into the company and create more opportunities than ever before across radio, podcasting and digital properties. “Hubble is set to revolutionise the way we discover, develop and deploy talent for our networks,” said Grant Blackley CEO of SCA. “We are excited to pioneer a new approach to the discovery and development of future audio and radio personalities, provide an increased number of opportunities to talent, and create exciting new content for our listeners,” Blackley said. 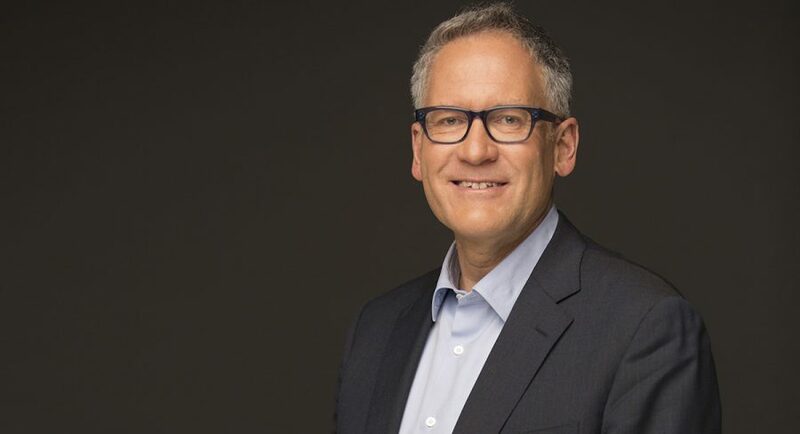 Guy Dobson, chief content officer SCA, commented: “We know there are many talented people right across Australia, eager to break into this increasingly competitive industry, and we are thrilled to be able to provide a foot in the door with Hubble. After 12 months in development, Hubble has created its own world-first internal software platform, designed to database talent and track development. Hubble’s first success story sees promising duo Lewis Spears and Luke Kidgell hosting soon on Sunday nights on Melbourne’s Fox FM. Nurtured through SCA’s new talent development initiative, the stand-up comics made their debut into radio on Triple M Modern Digital with their daily show Luke & Lewis, and are now moving onto bigger audiences. The Hit Network has appointed Tanya Hennessy to host weekend breakfast in 2018. Hennessy will host a networked breakfast show each Saturday and Sunday morning 7am-9am, with a regular rotation of guest co-hosts. The self-described talker not walker has been a part of the Hit family for six years. 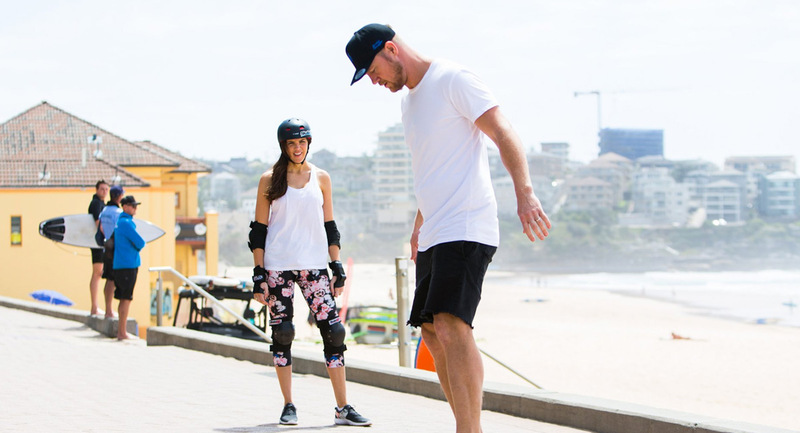 Starting out in radio in Griffith, Hennessy was more recently co-host of the Ryan and Tanya show on Canberra’s hit104.7 weekday breakfast and Saturday breakfast on 2DayFM Sydney. 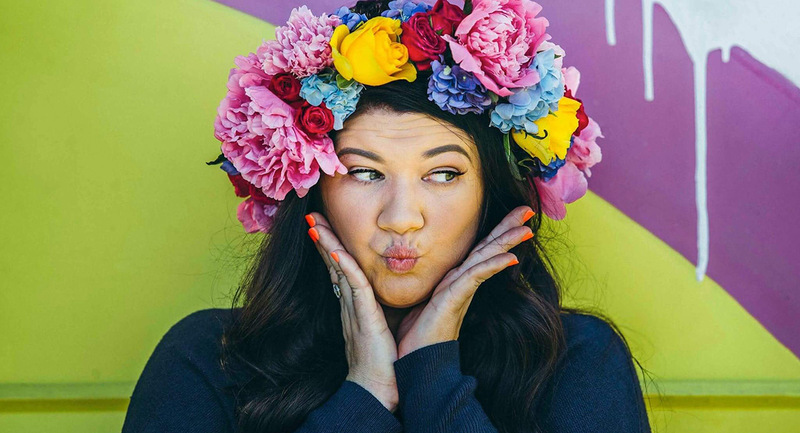 She has become well-known for her YouTube videos and now has over 1.1m loyal fans on social media. Last year Hennessy was awarded the Video Junkee Breakthrough Award, the Commercial Radio Australia – Best Documentary Award and was nominated for Cosmo’s Woman Of The Year Award. 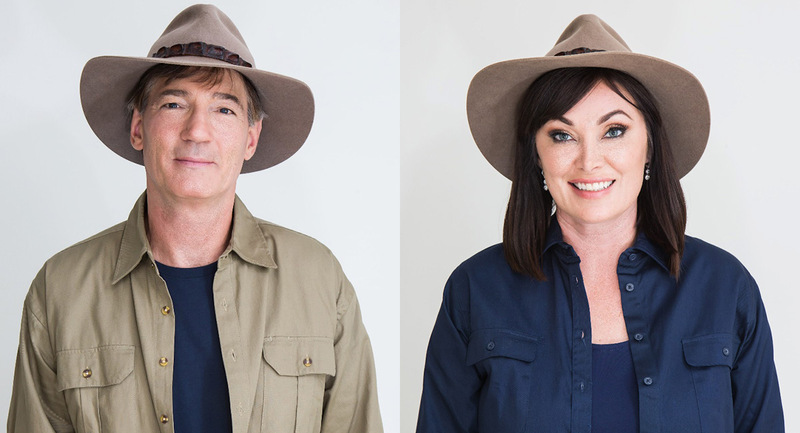 Reality TV regular Lisa Oldfield had a good laugh about her husband during her appearance on The Kyle and Jackie O Show on Monday. EP Bruno Bouchet and Kyle than traded double entendres. “Are you guys having fun?” asked Jackie O after several minutes, trying to put a stop to it. The Australian and New Zealand charts are in sync this week. 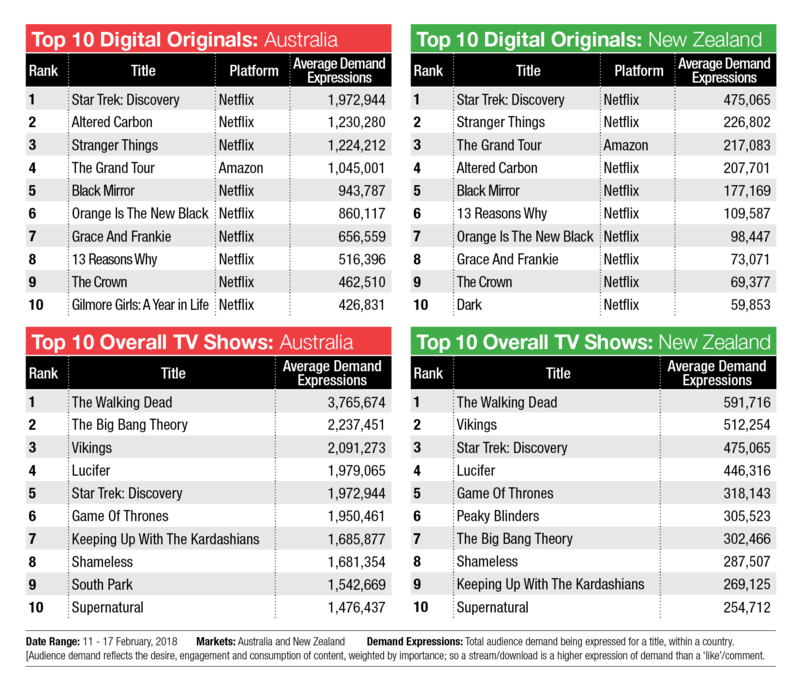 Star Trek: Discovery ranks #1 on the Top 10 Digital Originals charts in both markets, while The Walking Dead tops the Overall TV charts in the two countries. Back on the Digital Originals chart this week are 13 Reasons Why and Gilmore Girls: A Year In The Life. New to the Overall TV chart this week in Australia is Supernatural with new episodes screening on ELEVEN.